We’re joining a coalition of activist organizations to urge Pennsylvania’s Governor Tom Wolf to uphold a unique clause in their state constitution. Article I, Section 27 of the Pennsylvania constitution declares that the people have “a right to clean air, pure water, and to the preservation of the natural, scenic, historic and esthetic values of the environment.” Despite this clear constitutional directive, Pennsylvania continues to endure heavy losses as a result of climate change, while elected officials like Gov. Wolf ignore their responsibility to protect our communities and climate. Sign here to demand Governor Wolf and all state legislators must uphold the constitution and protect the environment. Governor Wolf, like most Democratic Governors, has issued multiple statements indicating that he intends to protect the environment and tackle climate change. In his recent inaugural address he stressed the importance of having a “business community [that] recognizes the value of an energy policy that protects our environment and creates good jobs.” But Wolf’s actions have been far short of what’s required to meet those goals. He claims he wants 10% of Pennsylvania’s power to come from solar energy by 2030, but his administration expands the fracking industry across the state. Throughout 2018, Pennsylvania faced extensive flooding from heavy rainfall, but Wolf refuses to keep fossil fuels in the ground to address the climate crisis. 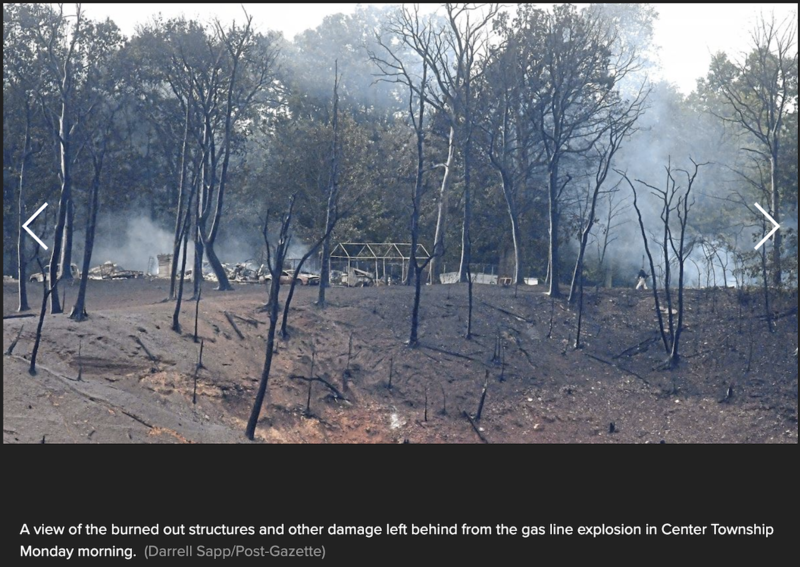 A brand new pipeline blew up, destroying a home, multiple vehicles, and other property. It is time for real action, not only to protect the state from the results of climate change, but also to begin implementing solutions into the state legislature. That’s why we’re teaming up with The Better Path Coalition to urge Governor Wolf and other state legislators to uphold the Pennsylvania constitution and protect the environment around them. It is time to put an end to the nonstop environmental destruction and to take aggressive action against climate change. If you believe that Pennsylvania deserves breathable air, drinkable water, and representation that ensures a clean and sustainable environment, sign here to insist that Governor Wolf uphold the constitution of the state he represents!